Korin Kormick, dramatic soprano (and St. Ann’s parish administrator) will offer a fundraising recital to benefit The Forum @ St. Ann’s, presenter of the concert. Accompanied by pianist Ling Leng, Ms. Kormick will sing the complete Wesendonck Lieder song cycle—inspired by the forbidden love between composer Richard Wagner and his patron’s wife—followed by compelling opera arias. A suggested donation of $20.00 is requested to support The Forum @ St. Ann’s arts and cultural programs. 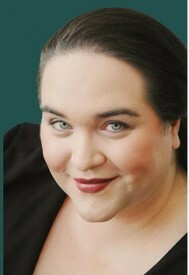 Korin Kormick has been acclaimed for her luscious voice, commanding stage presence, and theatrical conviction. Since her transition to the soprano fach, she made her Off-Broadway debut as the Mother in Hansel and Gretel (Humperdinck), and collaborated with One World Symphony as the heroine of Gluck’s Alceste. She recently made her role debut as Adalgisa in Bellini’s Norma with the Hudson Opera Theatre, and has sung Wagner’s Wesendonck Lieder in several recent recitals throughout the New York City area. Ms. Kormick completed post-graduate studies with Kathryn Cowdrick at the Eastman School of Music. A graduate of Centre College with a dual degree in Music and French, she earned her Master of Music degree at the University of Louisville School of Music, where she studied with Daniel Weeks. Please join us for an evening of fine music that also benefits The Forum’s future presentations.